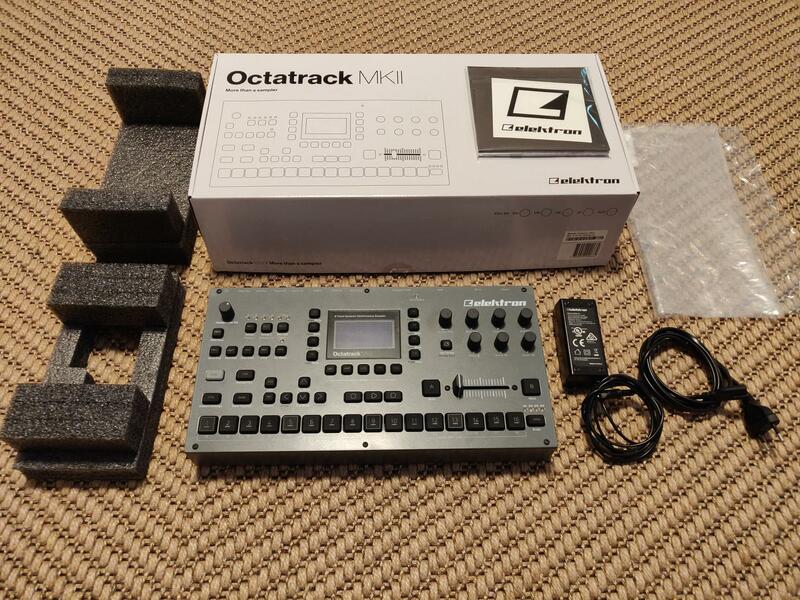 i am selling my Octatrack MKII for 900€ + shipping. It was used for a couple of months, only at home (smoke free). I am always very careful with my stuff, and this octatrack is no exception. It comes with everything that was in it’s original box. I am located in Portugal and will ship to most parts of Europe. The shipping will be payed by the buyer. The preferred method of payment is Paypal; do mind the 4% extra fee if you use the paypal payment option. Some months ago, on this forum, i sold a minty Analog RYTM MK2 to the user wavecircle without any issues. Hope i can do the same this time with the octa. I have to buy some furniture, and would love to sell the Octa this week. Another free bump from me for a really good price. Viva! Insane price. I just got a OT mkII a few weeks ago, but damn, that’s a good price. I bought it mid last year, from ebay, sealed. 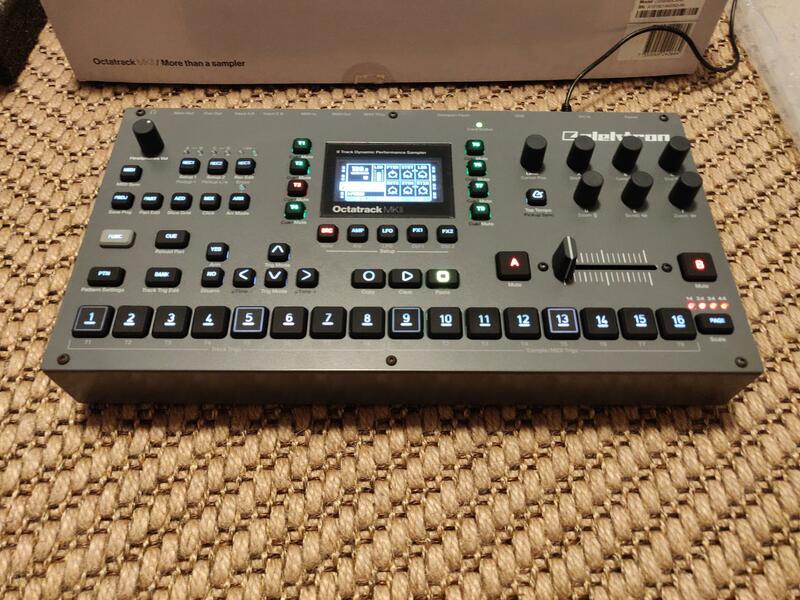 I contacted the Elektron support to check if the serial number still had warranty before buying, and they said yes. I think the unit has a 2018 serial number, but i can confirm that when i get home. Just checked the Elektron website to see if i still had the response there, but it seems they don’t archive the support tickets. I can ask Elektron again if it’s an issue. Edit: According to the serial number, the manufacture date is 01/2018. Crazy ! people ready to pay 10 000 for an OP-1 but don’t jump on OT2 at 900 !!! What a world ! It’s a very fair price but not THAT cheap… Thomann B-Stock (usually pristine) is only about 100 more with full warranty. Ps I’m still extremely tempted but resisting …sorry Mantrox! 250 euros less than a new one, and only two months old is a very good price ! Even though it’s pretty much mint, It’s not two months old. The manufacturing date is 01/2018 not 2019. I bought it in April, used it a couple of times and put it in storage for 7 months during house renovations. I would have bought this hadn’t I found one locally yesterday. I paid more for it too. its just timing, someone is bound to be looking for one on here very soon.